RB Media Group Review 2019: Is RB Media Group a Good Hosting? RB Media Group GmbH is a German web hosting, domain registrar, and IT services provider that’s been in business since 2004. Over the years, it has acquired over 6,480 customers and registered over 17,500 domains. The company takes pride in offering low-cost hosting, powerful dedicated servers, and timely support to its customers. With over 1,000 domain names and serving over 6,400 customers, RB Media Group GmbH is a leading domain registrar, web hosting service, and IT services provider in Germany. It offers a range affordable hosting plans including VPS and dedicated servers all backed by a friendly customer service team. Hosting with RB Media Group GmbH can be a pure joy for customers because it operates SSD-powered servers, which are quite fast and stable. After doing some digging around, I also realized its enterprise-grade servers run on Intel Xeon E3 and E5 series processors too. With a 99.5% uptime guarantee and onsite technicians monitoring their machines, your high server load websites will run fast and still be accessible 24/7. When it comes to building your website, you have two options. You can either import your custom PHP/MySQL website or use any of the free web app scripts to build a blog, e-store, or CMS website. My advice is simple. Use the one-click app installer offered with a step-by-step wizard if you’re a non-techie, as it will save you time and money. Extras such as SSL Certificates are available just in case you want to secure your websites. One of the things I love about RB Media Group GmbH is that it has special e-commerce hosting packages for those who want to build e-stores using Gambio, Oxide eSales,VirtueMart, ZenCart, or Shopware. With these shop systems, you get everything you need to build, secure, and promote your functional store online. Don’t worry about privacy statements, disclaimers, or TCs; there’s a module that takes care of all that. Daily automatic backups ensure that your data remains safe and that you have a fallback plan should your website crash. Your data will be stored for 21 days and during that time, you can restore your website files with simple steps. I also find it easy to get around the unified control panel. When you sign up, you’ll be able to register domains, create personalized emails, secure your website, and do much more from a central place. RB Media Group GmbH’s hosting packages may seem expensive, but when you consider it offers a suite of features and reliable SSD-powered hosting, you won’t have reason to complain about the pricing. It’s also easy to scale from a low-level package to a higher one. I just wish there were no setup fees charged. When you sign up for a 12-month package, you can pay via PayPal or any of the major debit cards. Unlike most companies, RB Media Group GmbH does not offer 24/7 support. 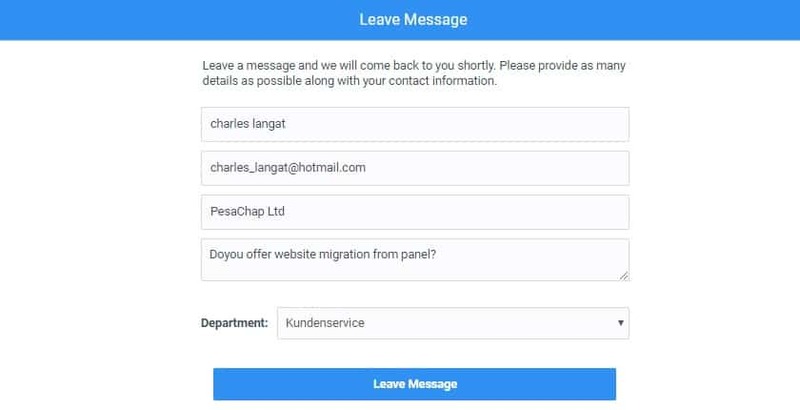 I initiated a live chat with Martin Kruger as I wanted to find out whether the tech support guys would assist with a website transfer from BlueHost, but I didn’t get a response. It seems he’d stepped away from his desk, so I left an offline message. I would advise you to get in touch via telephone, email, and Instant Messenger from 8:00 a.m. to 8:00 p.m. during the week and weekends from 10:00 a.m. to 6:00 p.m.
With a range of affordable shared hosting plans and stable servers, RB Media Group GmbH is a good choice for customers looking for competitively priced but feature-rich hosting solutions in Germany. 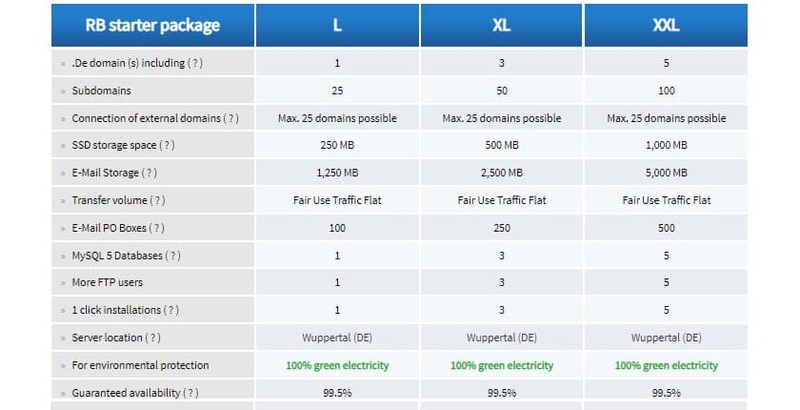 Wondering how RB Media Group stacks up against other Web Hosting companies? Enter any other Web Hosting company and we will give you a side-by-side comparison.